Question: In your publications and on your website you have been consistently using the words God-Realized Saint, Genuine Saint, Authentic Saint. What do these words really mean? How can one know who is a genuine saint and who is not? Even though our scriptures indicate that a spiritual seeker must choose such a saint, who possesses both of these attributes, as ones spiritual guide or Guru, yet of the two attributes latter , i.e. the one who has seen God, is more important. This is so because once a soul sees / attains God, they automatically gain the essence of knowledge described in the scriptures. Sainthood is not a college or university degree that is conferred upon someone, examining which one can establish the identity of a true saint. In Kaliyug (see Kaal-Time) so many imposters pretend to be Saints that it becomes not just difficult, rather impossible to identify a genuine saint. A saint can only be known by a saint of the same level, because like God, true identity of a saint cannot be grasped by the material senses, mind and intellect. Nevertheless, a saint has to be recognized through perpetual, inferential and scriptural evidence; otherwise no one would have ever attained God since time immemorial. 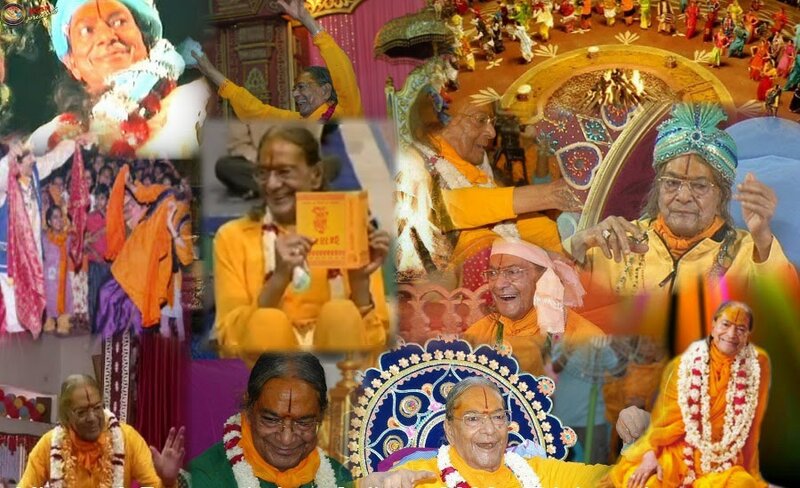 So, let us solve this mystery with logic and scriptural evidences based on teh philosophy propounded by Jagadguruttam Shri Kripalu Ji Maharaj. Shri Maharaj Ji first draws attention towards those characteristics which confuse people into believing that the person, exhibiting them, is a true saint. These characteristics don't confirm true sainthood. So a spiritual seeker must further examine before choosing the person as Guru. 1. Saintly attire: Just because someone dresses up in a saintly attire one should not believe that he is a saint. He could be a saint or an imposter. So, be cautious. 2. Large following: A huge number of disciples is also not a sure sign of a true saint. Many people possess the skill of enchanting people by their fine arts or other specialties. Just by the virtue of being surrounded by a large number of disciple does not qualify one to be a true saint. So be cautious. 3. 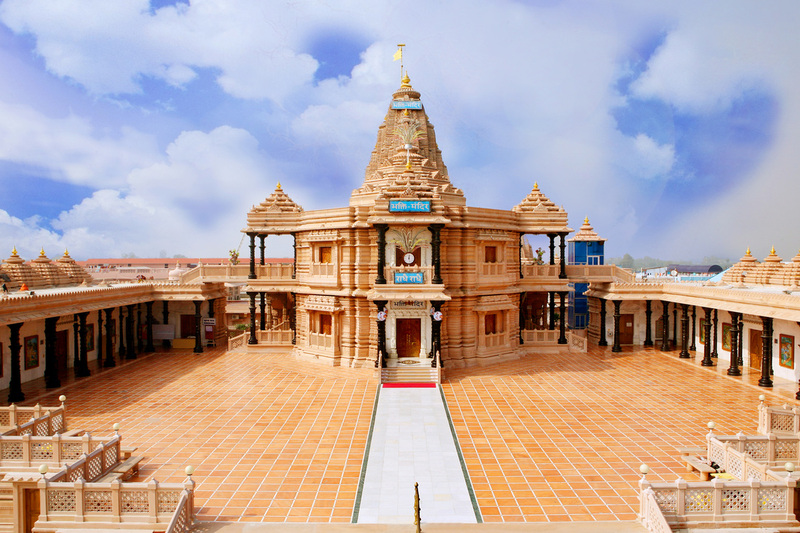 Built Ashrams: One who has built many gorgeous ashrams too may or may not be a real saint. So be cautious. "Once someone knows You they are imbibed with all of Your qualities forever". God has a power called ‘Satya Sankalp’ which means that when God desires or wishes for something that that thing comes to fruition and becomes a reality. The saints too possess this power. Hence, if a saint utters the words of blessings like “Be happy!” then from that moment on, until eternity, the disciple must be freed from the vices of Maya (anger, greed, jealousy, lust etc) and he must attain bliss forever. But even after receiving blessings from a saint the individual continues to suffer as usual, then what is the point of those blessings? Be advised that since a saint’s words are always true, if his blessings do not culminate into reality, then that so called “saint” is an imposter. sant hrday navaneet samaana . kaha kavinh pai kah na aana . "His heart is softer than butter. Because butter melts when it is heated but a saint’s heart melts, with mercy, seeing the agonies of others." How can such a person curse? The selfish people curse, when their own selfish motive is not fulfilled. A saint is always ready to give each and every part of his being just like a birch-tree which keeps on giving its skin until its trunk exists. 2. Performing Miracles - Those who impress people by showing miracles are also positively not a saint. History proves that saints like Soordas, Tulasidas, Nanak, Tukaram, Chaitanya Mahaprabhu etc. never showed miracles to impress people. If they ever performed any miracle, that miracle was only to save their dear devotees. But the imposters show miracles deliberately to impress gentry. The goal behind all those miracles is some selfish motive and does not reflect any devotion or interest in God. 3. Initiation - It is also important to know that a real saint cannot even think of initiating (deekchha) a follower until he qualifies to be a disciple. Why? Because initiating or giving mantra in the ear means to infuse divine power in him. Divine power could be given only in divine senses, mind and intellect. Ordinary beings cannot bear the power of electrical current passing through their body, how can such material mind and body have the power to bear unlimited divine power? 1. Despite possessing perfect knowledge, the saint is simple and innocent like that of a child. He is equipoise in both admiration and condemnation. 2. Despite being expert in all disciplines, he can have the appearance of a madman. kvachid rudatyachutachintaya kvachiddhasanti nandanti vadantyalaukikaah . "Being intoxicated and drowned in divine love bliss, sometimes they cry in ecstasy, sometimes keep on laughing and sometimes they talk something inconspicuously and become overjoyed. Sometimes they dance and sing being oblivious of the rest of the world and sometimes they become silent." These are symptoms of love which occur in the body of a real saint. When you stay in association of such a saint, due to his personality and seeing those symptoms of love, your worldly attachments would gradually decrease and love for God increases. Sometimes you will experience some initial symptoms of divine ecstasy. Now you will realize within your heart that “there is no happiness in the world, I have to realize God”. If you ever were to ask such a saint to bestow some material benefit upon you, instead of saying ‘so be it’, he would encourage you to let go of the ones that you already harbor and advise you to not wish for more. He would clarify that these material matters are holding you back from reaching God and attaining bliss. In other words He will impart the knowledge needed to attain God. Even though assessing abilities of a Divine Saint are beyond the capability of material beings yet, use these characteristics as a yardstick to assess who is a true saint and who is an imposter. Once you are assured that someone is a true saint, follow his (or her) advice “to the letter” to attain God. Choose the one who has met Shri Radha Krishna as your Guru. Getting an initiation mantra will not connect you to God.